Photo from Egg website because Posterous seem to have lost some of my photos! I've never been a biscuits & gravy type of girl, but if there's one place to get converted, Egg's the place. Biscuits & gravy may not be the most appetizing looking dish but at Egg, it's so good, you just want to take it home with you to meet the parents! 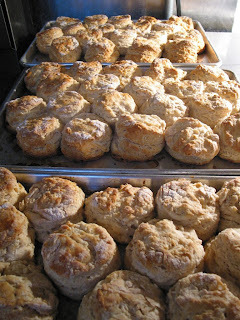 I love biscuits -- what's there not to love? Butterty, crumbly, baked goodness. Mmm... just the thought of regular biscuits makes me hungry. 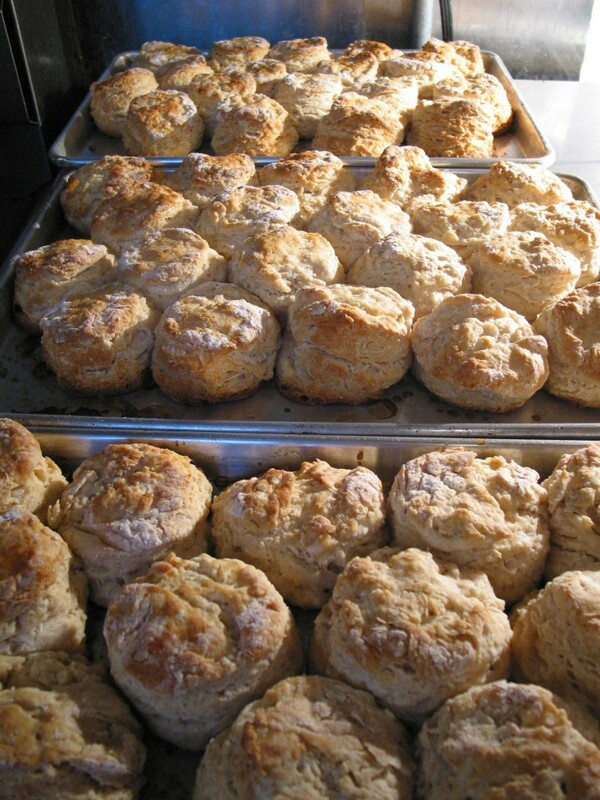 The biscuits at Egg even look good: check out the photo I "borrowed" from their Twitter (@pigandegg). Egg's Biscuits & Gravy is a bowl of everything that's good -- two (yes two!) pieces of the best homemade buttermilk biscuits you've ever had covered in the creamiest gravy with to-die-for pork sausage. You can opt for mushrooms instead of sausage, but I loved it so much, I even ordered a side of sausage - and trust me, no regrets! The sausages have a blend of spice in it that just takes the Biscuits & Gravy to a whole new level. I ordered Egg Rothko because lots of websites were raving about it. It's an egg cooked in a brioche topped with Grafton cheddar, served with seasonal vegetables. Lucky me, it was summer and they had my fave vege - kale! But honestly, I would trade the Rothko for the Biscuits & Gravy anytime. And if you still have room - which I highly doubt if you actually finished the Biscuits & Gravy - get the pancakes with Vermont maple syrup. Definitely in my list of fluffiest pancakes ever. If you're in visiting NYC, take the L train to Brooklyn and have brekkies at Egg. Stuff yourself silly and then walk off the calories shopping in Williamsburg. Totally worth it. Movie-watching should be a sensorial experience, right? And no, I'm not talking about the popcorn muching, the nacho crunching or the smelly guy sitting behind you who desperately needs a bathe. 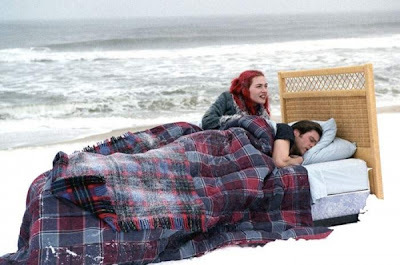 When we talk about our favorite movies, we typically have a favorite scene, favorite line and we always remember how it made us feel, and at times, even who we saw it with and where. And technically, we should also remember how it smelled -- yup, you read right. We know that certain smells trigger certain memories. For e.g. a sniff of freshly cooked fluffy rice makes me think of my grandma because growing up, lunch time was usually rice and dishes. So here's my theory, a truly sensorial movie would have a smell -- and Zhuang and I took it this theory for a drive. We decided to go down our list of some of favorite movies to see what kind of smells were associated with it. Question, if you watched the same movie with the same person at the same time, does he/she smell it differently? Sounds like we're going down Twilight Zone territory now, but read on and tell me what your favorite movies smell like! MOULIN ROUGE - We both love this film, and have seen it countless times. To Zhuang, it smells like a theatre, complete with red cushions with a hint of musk. To me, it smells of heady French perfume, sweet, strong but never cheap. 500 DAYS OF SUMMER - This one's a favorite of mine. I secretly want to be Zooey Deschanel, and no, it''s not because JGL is completely head over heels in love with her in the movie and there's absolutely no way I can pull of a name like Summer. Unsurprisingly, this movie reminded me of the smell of spring, more specifically, of when I open my door in San Francisco in the morning and it's the scent of freshly cut grass and that first whiff that's a mix of morning dew and yesterday night's fog. ETERNAL SUNSHINE OF THE SPOTLESS MIND - This reminded Zhuang of how winter smells like, the snow, the dry air. It did the same for me, but it also made of think of the familiar, comforting smell of a favorite knitted scarf, one that you've worn throughout winter and just never got down to washing it. And no, it does not stink. The smell is one of warmth meets dry winter. 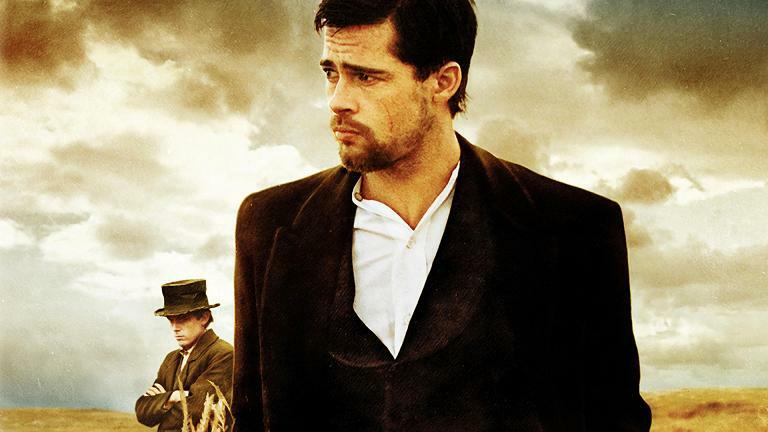 ASSASSINATION OF JESSE JAMES BY THE COWARD ROBERT FORD - This is one of both our top favorites and honesty, one of the mos underrated movies ever. If you haven't seen it, go watch it. Beautifully written, shot and completely mesmerizing. This smelled of dust and yes, think the stereotypically tumbleweek rolling across the sandy ground. And of very worn, brown leather. BLACK SNAKE MOAN - This was actually the movie the spurred us into the conversation of what movies smell like. It's at the bottom of the list because I'm not of a fan of the movie but Zhuang loves it. I'm not denying that it's a well-made piece, it's just not my cup of coffee - so not a blues woman, Samuel L. - not my thing at all! To Zhuang, this smells of rain, grimy mud and lots and lots of sweeat. Gross. Here's trivia: Did you remember Justin Timberlake in this? Interestingly, we both couldn't figure out what our INCEPTION or THE DARK KNIGHT smelled like and we chalked it up to the fact that Nolan's movies were more cerebral than emotional, and that was why we couldn't associate a smell with it.